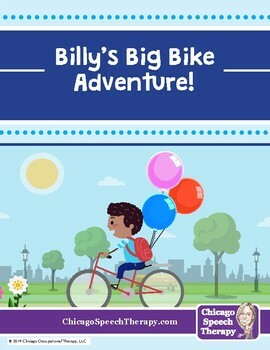 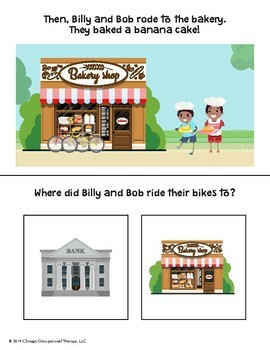 Billy's Big Bike Adventure features main character, Billy, as he visits places around his neighborhood with his new, big bike! 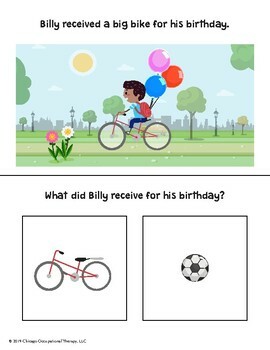 This story features multiple examples of /b/ in the initial position to help our friends hear and practice correct articulation. 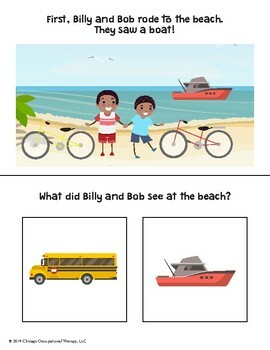 Reading comprehension questions are also included within.